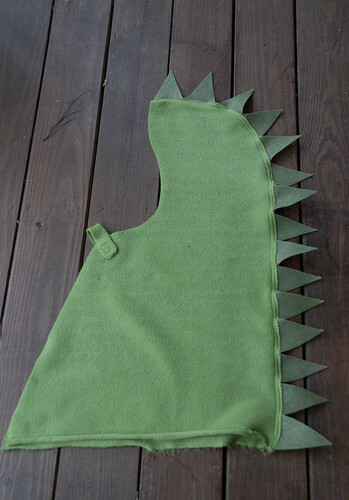 I made some adjustments to the Howl today to make a kiddie cape. Overall, this project cost me $3.00 and took about 30 minutes, which is good since I don't have any kids to give it to! And you all know that I take ridiculous pictures of myself, but even I have a limit! (Plus they all turned out terrible since it was raining). 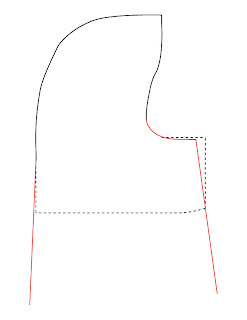 I didn't make a new pattern, but the diagram below shows (in red) how to change the howl into a cape. For my version, I used 1/2 yd of fleece and made the cape as long as possible, using the selvages as the bottom edge. 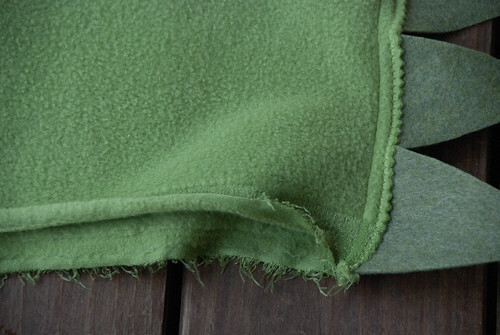 Since it's fleece, you don't have to worry about edges fraying, and thus no lining! I sewed the back seam WRONG sides together. 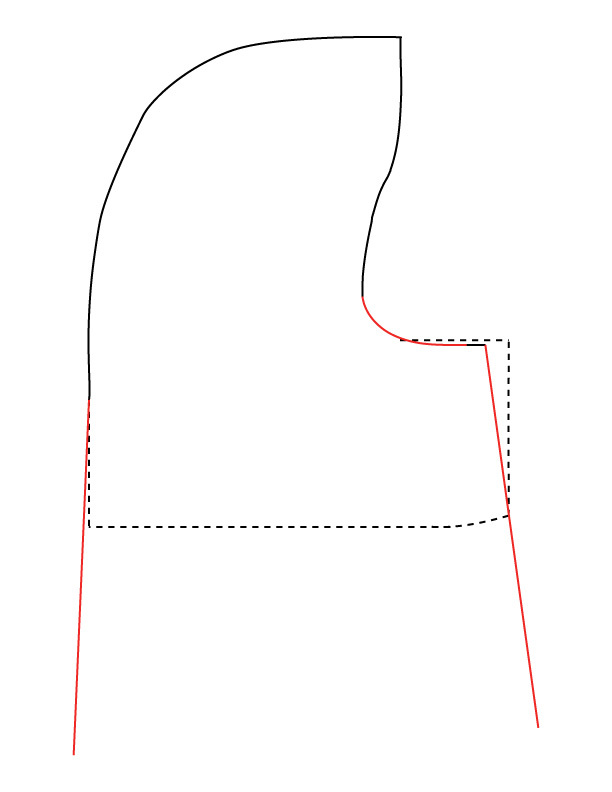 Then I pinked that seam (optional, I just wanted more zig-zaggi-ness). I cut some triangles from a sheet of (fake) wool. Sandwich them in the seam, then top-stitch the seam closed (I used a zig zag stitch). 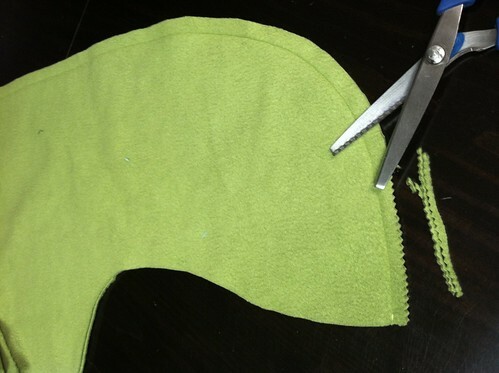 I used a piece of the fleece and velcro to create the closure. This is very boy-ish, but I could see this being a cheap and easy Little Red Riding Hood idea. Or just make them without the extra embellishments. They are quick and cheap and WARM. Perfect to add a bit of whimsy to a winter outfit. I LOVE this! 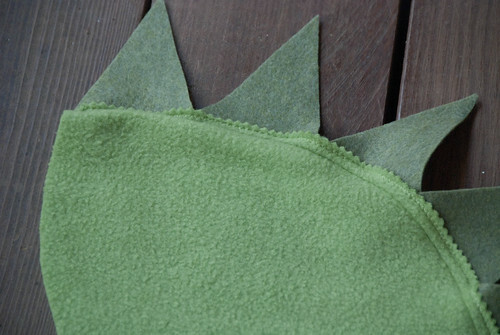 Yesterday I bought my raincoat material and fleece so I should be cutting out my howl today, only now I'll need to go back to the store and find green fleece and felt because my little boy is going to LOVE it too! Awesome!